On the 12th of December 2016 the Syrian Arab Army has advanced into the bulk of the former areas held by rebels and several offspring groups of the Al Nusra Front in the Eastern part of the city. Up to the last reports, there is a remaining enclave South-east of Aleppo. Still the smell of the final recovery of Syria’s second city and economic hub was being felt since yesterday, when local residents celebrated the retake of the city from the rebel forces. Only weeks ago the Syrian regime controlled around 85% of the urban area. An ever advancing movement enabled the army to take district by district off the insurrectionists. Joined by allies such as the Syrian Kurds, the Hezbollah, and the Russians along them, the regime has recovered the whole metropolitan area, except of one remaining enclave of armed branches that did not follow the general withdrawal of their brothers in arms, all willing to draw back to the Idlib province under their control still. The all so long awaited victory might have fallen short in the media, as simultaneously to that, the ancient city of Palmyra, fortress of the desert retaken last year, fell back to the Islamic State along some airbases in the area that had been secured in the past and taken in a very costly manner and with a lot of Russian military support. Now back under their control, the frontline has again shifted in the central area of the country. Firstly there are generally speaking improvements in the city of Damascus, and its outskirts, which have been retaking some enclaves either by force or by an agreement of withdrawal. As such the major East Ghouta area has lost some territory to the government. It looks as if the security has seen important improvements in those regards. A defeat and a victory, or the other way around sure gives a mixed result at the end of the day. Still the psychological impact of the surrender of the main city under insurgent control has had its share. The Idlib province and the areas close to the Syrian-Turkish border taken from the IS are there to stay, unless the army and its allies undertake a military enterprise starting east from Aleppo. The further they could approach the governmental held enclave of Fouad, the sooner the remaining northern bulk of rebel held territory could see heavy losses coming soon. Nevertheless the battle is far from over, especially if you consider how a gain can be undone in matter of days or hours. Whence the IS continues its retreat in part of its Iraqi held territory in and around Mosul, many fighters are being shifted to the areas around Palmyra in a fashion, which evidently took the Syrians by surprise. Thus the retake might give more headlines for Damascus and Moscow, which now have been overshadowed by its recent fall. While the UN Security Council overall seems to be quite unhappy for the success of Bashar Al-Assad, as it could be read by the numerous times that Russia and China have vetoed the resolutions in recent days and weeks, unsuccessfully urging for a truce in the Syrian city. Otherwise they always emphasized the humanitarian crisis, etc. in order to call into question the liberation itself. It looks as if a defeat of a “moderate rebel” always will be put into that light, while the battle of Mosul clearly is put forward without the slightest concern for the civilian or armed population among them. As the veto power of the Security Council today favours the Russian and Syrian side, the Western media have saturated the web with the view of the people trapped inside the war. There were allegations about massacres made by the Syrian Army, lacking any proof attached, and even the alleged executions of civilians. All these punchlines are solely there to distract of the obvious superiority of the Syrian army over the Western puppets eager to topple the evil dictator of Bashar Al-Assad. Their failure comes short to the expectations made by their sponsors, one of which are the US-Americans. The new president-elect has clearly stated his wish to cease the supplies to these rebels despite that the Congress has been pushing a bill contemplating the further arms supplies and money to the insurgents on behalf of the US. This outgoing Democratic administration will do what remains within their reach to help those trapped inside this war. Let’s see how Trump and his Secretary of State nominee will think about this and other issues pending in January 2017. The current conditions, in favour of the Moscow-Damascus axis are in the verge of reversing the trend and give the government the advantage it had been looking for. Then also the Russian ally has been pushing to maintain their presence in the Mediterranean Sea and with airbases in the coastal area. If the Western powers manage to rearm and the local forces regroup again in their frontlines, it could be again a long time before anyone can call any advance, may it be with the Islamic State or the motley-crew-like groups operating on the ground. For now the major victory of Syria has been accomplished: the retake of the city of Aleppo and its outskirts. Now comes to see if the remaining areas are likely to fall too, or how long will it take to the Syrian forces to completely regain the sovereignty and territorial integrity that any country wishes to have. Now that the world has slowly got accustomed by the fact that Donald J. Trump is the president-elect of the United States of America, it seems reasonable to think that the international has shifted , or will so, beginning on the 21st of January 2017, when he will make his oath as the 45th president. Until then the outgoing lame duck Barack Obama will be making his last moves as a Democratic leader in the White House. One of them being his last trip to Europe, which started in Greece, where he met Prime Minster Alexis Tsipras, surrounded by a massive rally protesting against his visit. His trip which started in Hellenic soil, will lead him further to Germany, France, Italy and the United Kingdom. For his farewell tour, Obama comes with a lot of assuring messages for his European counterparts, within a very delicate timeframe. The electoral promises held by the republican president-elect have raised some eyebrows in several capitals, and also at the NATO, led by Secretary-General Jens Stoltenberg, who seems particularly concerned about the future of the organization he represents. If the new policies of Washington, under this new administration was to severe the expenditures into the organization, as being its main contributor, it could call seriously into question its permanence as such, and its viability militarily speaking. Thus the worries which Barack has to try to appease somehow in this last tour. The Trade Agreements between the US and the European Union also went sour lately, again putting the feasibility into doubt, if ever the biggest consumer market, made up by both of them, were to be merged. This seems more remote than ever, considering the new ideas of protectionism rising in the Northern American nation. Hence the new uncertainty remains whole, as of the state of affairs worldwide and in the US in late January of next year. Will there be the massive expelling of illegal aliens back to Mexico and Central America? Will the border be effectively be sealed off by a gigantic Wall from the Pacific Ocean to the Gulf of Mexico? Who will be paying for its expenses? And furthermore, who will be in charge of what on the Hill? Obama meanwhile takes advantage of the time remaining as a head of state, and will try to reach whatever intermediary result he can achieve, whether it may be in Syria, Yemen or elsewhere, before the new team will take over the controls. It seems as if the nominee for the post of Secretary of State has been between the former US Ambassador John R. Bolton, having served shortly before the United Nations under the administration of Georg W. Bush, or Rudolph Giuliani, former mayor of New York. Both of the have had hard stances regarding international affairs, but certainly the one more embedded into this is Bolton. He not only withdrew the signature of the Rome Statute of the International Criminal Court on behalf of the US, but he also claimed several times his personal considerations about the UN, which he despises as a whole. He dismisses the international law as such, seeing before anything else, the sole interests of the United States. As much as this can be of help to that purpose the UN is welcome to coexist in the world affairs. But beyond that it is as insignificant as can be. Combining the viewpoints of Trump himself, added to the likely Secretary of State Bolton, things might get sour in years to come. Whomever shall step into these shoes, the new era has started worldwide. The former establishment, warrantied by the continuity of Clinton dynasty, has since decades set the rules to follow. It may be risky to try speculating about the contours of this new age to come. What is sure is that nothing is the way it used to be anymore, or will be. This is a time of shifts and turns, which could take by surprise everyone. While waiting for the dust to settle, when everything will be clear to see, changes are being made as we speak within the team in the making of president-elect Donald J. Trump. Wait and see. The ballots in the US elections have spoken and since today the winner is known: Donald J. Trump. As it looks, the people of the USA, -or rather its biased electoral system-have resolved to make the republican nominee the 45th President of the United States.The now president-elect has stood tall all the way up to the White House, despite all the resistance coming from within the Republican Party, and from the Democratic campaign of Hillary Clinton, among other dissident voices from smaller formations. The media as a whole were frankly speaking if not with the former Secretary of State, but certainly against Donald Trump. This included the circle of artists, singers, the mainstream media, the academics, etc., who were mostly united against a common foe. Notwithstanding the storm, on the past 8th of November the voters, the US-Americans showed off, at key states such as Florida or Ohio, which all of a sudden fell –at times by very slim margins- in favour of Trump. Seemingly the voting polls were either totally wrong, or they never reflected the whole horizon of how society was at. The persistence of an establishment, blended together among politicians, businessmen, members of Congress or Senate, and on top of this network the dynasty of the Clintons. Those two privileged members of the Hill, which since the election of Bill Clinton back in 1993 lasting over two mandates. Since then Hillary Rodham Clinton had taken the lead, being nominated under the first mandate of Barack Obama Secretary of State. Henceforth the presence and influence, let it via the Clinton Foundation, the US diplomacy, or by connections within society, has grown at least until the incident of the US Consulate of Benghazi, Libya, and Clinton leaving her office. The political breach that Trump opened on his unusual campaign using a selection of the finest of his personality: misogynist, sexist and/or xenophobic comments, incitation towards violence, political intransigence and attacks ad hominem to anyone who happened to be in the way of the tycoon in the rise. His most concrete political ideas, which came quite late in the run, defined him as someone willing to break the seal of the current state of affairs. Renegotiation of Free Trade Agreements, i.e. NAFTA; TTIP, etc., ceasing to be the NATO main actor and material supplier, closing the borders, thus introducing trade barriers, which have been eliminated by the two-decades-old NAFTA Treaty, amongst other actions. Also there is a different view upon the foreign relations, as it seems, where the Russian president is treated in a totally new light, away from the sanctions and containment policy upheld by the current Secretary of State John Kerry. In general the business world has woken up in shock by the news of the president-elect Donald Trump. When the economy today relies heavily on the fluctuations provoked by political events, here it has not been any different. As Wall Street saw a phase of recovery in the last days of campaign, now what is to be seen is the total opposite. Elsewhere in the world, especially in areas under its economic hegemony such as Mexico, it has provoked not only a lot of shock on behalf of most Mexicans, but also an historical low in the exchange rate of the Mexican currency since 1995. Hence it is only natural that for instance the Mexican government has stated measures to be taken, if the economic ties should weaken or break between Washington and Mexico City, as it offers an historic opportunity to have trade with some Asian emerging economies, for real. Not only on a written paper, whereupon Mexico should and could have trade with around forty nations worldwide. Yet it depends still in over 80% of its international trade on the US, let it be in its exports as well as the imports. Now we have the chance to see elsewhere, maybe even into South America, a long time unseen area for the Mexican economy, despite being part politically of Latin America. We are facing a new age, most probably having witnessed the last democratic president, now with a country in which the Senate and the Congress are under the control of the Republicans. Such conditions will give the presidency of Donald Trump margins for governing, unless the very own Republican Party becomes his adversary when passing his policies, whichever they may be. The president-elect Donald Trumo will be sworn January 2017, leaving Obama the time to make way in the White House until then. President Nicolas Maduro has narrowly escaped a coup d'état today, operated by the parliamentary opposition along with mass rallies on the streets. The president had been travelling to OPEP and Non-OPEC such as Azerbaijan, Iran, Saudia Arabia, Qatar, amongst other capitals. He started his Middle East Tour on the 23rd of October 2016 and added a leg, by meeting Pope Francis at the Vatican on his way back to Caracas. His presence here was of great importance, as the recent activities of the self-proclaimed Coalition for Democratic Unity (Mesa de Unidad Democrática, MUD), and its member and current Chairman of the National Assembly (Parlament, NA), Henry Ramos Allup, was promoting not less than a political impeachment process, alike the one that hit his former Brazilian counterpart Dilma Roussef. The title of the document could be understood in the following terms: The NA agrees to start a proceeding aiming at declaring the political responsibility in the major breach of the constitutional order. Meant was the statement made by the CNE, the Venezuelan electoral tribunal, which determined that the second phase for gathering of signatures for the revoking referendum was to be cancelled. The reason being that there were irregularities among the first 1% analysed by the latter. Henceforth the revoking referendum could not possibly be held before February 2017. With the president on his way back from Europe and Middle East, possibly aware of the activities happening at the NA, Maduro landed in Caracas and met with a massive pro-government rally receiving him at the Miraflores Palace. There he held a speech, where he emphasized that the opposition shall never accomplish their goals, of turning Venezuela into the next chain of successful coups in the region, in which centre-left oriented governments were toppled among other strategies, through parliamentary ways; namely Honduras, Brazil and Paraguay. His country would resist and overcome any attempt to destabilize his socialist government. While the political hit is underway, it has not had any real chance on the side of the Armed Forces. The Commanders have reiterated their loyalty in regard with the constitution and the president. Still the streets are filled either by pro- or anti-government rallies, which have filled the avenues of the capital today. This shows just how polarised the society stands today. Maduro finds himself in a quite complicated situation. He finds himself with several fronts at the time. First is the internal opposition, which clearly have pushed more and more aggressive moves to force him to leave office. Then again the petrol prices are not being the most helpful in his fainting economic situation. With an astronomic inflation affecting the economy and falling revenues from oil, he could soon be short of funds for his vast social expenditure. This could also be the reason of his trip to other oil-exporting countries. 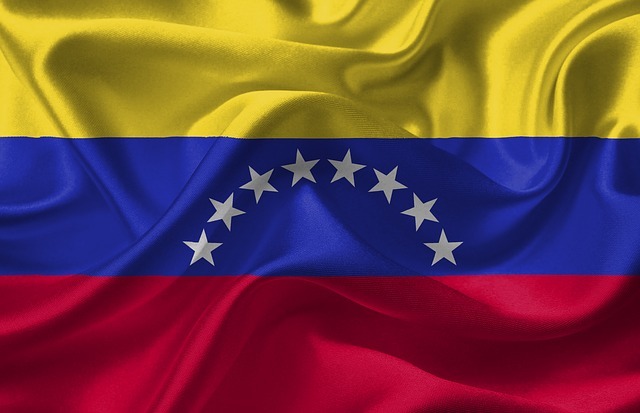 The membership of Venezuela in the Southern Common Market (Mercado Común del Sur, Mercosur) has been called into question lately by most of its members. The most keen have been Paraguay and Brazil, who by now are leading the bid to expel the South-American nation out of the economic block. Also Argentina, now run by Mauricio Macri has blended into the side of the foes of Venezuela. The recent visit of Uruguayan president Tabaré Vázquez to his Argentine counterpart at his residency at Buenos Aires, shows that even the strongest ally of Caracas has been drifting away from their original position. As it seems the recent events in the nation have raised concern, even to the leftist president Vázquez. Thus all members of Mercosur, except Venezuela herself, are agreeing on invoking the democratic charter of the organization. Formally speaking Maduro is the pro-tempore president of Mercosur. Despite that all other Foreign Ministries of the group have largely ignored any statement made by Caracas, Uruguay “handed over” the presidency to Venezuela. Notwithstanding the efforts made by Foreign Secretary Delcy Rodríguez, to maintain the fiction of that, reality shows that far more than that is at stake. More than the pro-tempore turn, their full membership seems to be called into question. The stakes are high for the Venezuelan government, confronted with falling approval rates and a bad economy. Back then the revenues of oil could balance the lack of any activity not linked with petrol. It seems as if oil is the only business in town, or at least the major one. After more than a decade under the rule of socialists, the economic structures of the country remain poor, as the dependence upon oil money for the government budget is overwhelming (above 90%). So when this pillar collapses, the whole system gets out of balance at once. The arrival of the Pope’s Envoy Monseigneur Emil Paul Tscherrig to Caracas on the 22nd of October comes on behalf of the Pope in order to foster the dialogue between the MUD and the government. Not only has the private interview at the Vatican between Maduro and Francis shown the good spirits on both sides in achieving a climate of dialogue among the Venezuelans. Time will tell whether the opposition will rather orchestrate a coup d’état via the parliament or the Army, or sit at the negotiating table with the government, under the mediation of the Vatican and the presence of former heads of states within a Unasur-Committee. The question remains also on how long this status quo could possibly last, before bursting into some form of chaos. Could this be the major and definite push of the inner and outer enemies of the Bolivarian Revolution, perfectly aligned in their final hit, to reconquer Venezuela back to the Washington Consensus, and put an end to this socialist regime? There are many reasons this regime could crumble as fast as a house of cards, but some mistakes are definitely accountable to some sort of mismanagement on behalf of late president Chavez, and later on Maduro. Others are clearly signs of foreign intervention, such as the pressure groups, non-existent in the past, or the recent shift of the NA into the hands of a majority of the MUD. These cases would have not been considered even possible under the administration of late Hugo Chávez. Until then the normality seems to be restored while the ever going negotiating rounds and confrontations between government and opposition continue. This analysis will have to be continued, as soon as new events come to rock this South-American nation. Nobody expected this turning after the joint press conference of the Foreign Secretary of Great Britain William Hague and US Secretary of State John Kerry the past 9th of September 2013 in London. As it appears while answering to a journalist question about which options did the government of Syria have, to avoid the confrontation, Kerry said that if all chemical weapons were handed over to international control, and eventually destroyed, an attack may be reconsidered. As it seems Kerry never thought that such an idea could become the springing board for the Russian Foreign Secretary Serguei Lavrov, to make this very offer to his Syrian counterpart Wallid Mouallem. He also added to the demand the need of subscribing the international Convention about Chemical Weapons Prohibition. Only a few hours later the Syrian government acceded fully to it, to the surprise of some of the current players, still looking how to promote an intervention in the country. As Ban Ki-Moon openly acknowledged the Russian plan, that in fact will need a great amount of effort of the UN, as a key player, suddenly the US State Department said first that the demand was being said in a rhetorical way by the US Secretary. Then Obama himself took himself some time for this subject in one of his numerous interviews given that same day on US television, that this same offer was “potentially positive”, but needed to be absolutely authentic. In any case what does seem self-evident is that far from reaching a general consensus over the intervention in his last international tour through Western Europe, John Kerry, with or without the intention, gave the magic words to avoid it, giving way to a political solution. As it seemed there was none in the opinion of the Obama administration. The fact that Russia took over the argument, could weaken the argument of the inevitability of the intervention. The relative concession that Obama had to give to the proposal is only degraded by this powerful doubt, that anything coming from the Syrian Government isn´t trustworthy. Furthermore the new events should not interfere with the upcoming quest for the bill in the Congress concerning the limited intervention in Syria, to be duly approved by enough Congressmen. This battle is the beginning of the war the president is looking for, and having dropped the appearance neutrality this could only go through a tough marketing of the war, which isn´t a normal one, just a limited one, they say in the Hill. While the general ambiance in Washington is mainly around the Syrian issue and as the next session in the Congress scheduled for this Wednesday, this has been postponed again, only making the happening of the event more uncertain and less immediate than expected. And again the French government has shown their likeliness to follow the US path to war, still doesn´t see yet the positive signs for doing this openly. Nor the British Prime Minister Cameron, after the big blow of the Parliament, having lost in his seek for a bill to be passed, allowing military intervention in Syria. Due to this limitation, he should be out of the club of this new potential Coalition of the willing, still under the Bush II administration. If Bashar was to show any collaboration in this new political draft, his position would improve by far, as he will be having a whole new UN presence working for the recollection of all Syrian chemical arsenal as a shield preventing any hits from the sea. As for the starting consideration, that bombing military infrastructure, specially containing Chemical Weapons, is far from being helpful in order to insure the safeguard and control of those. If Damascus allows the complete destruction of the existing material an important argument would have been neutralized by Bashar Al-Assad, until the results of the other UN team in Rotterdam, Netherlands gives finally its results of the analysis of the alleged chemical attack of the past 21 August in the outskirts of Damascus. These should either way give a reason to resolve the enigma around the authorship and accountability that some countries have determined in advance, as being the government forces of Assad. Despite the proven responsibility of the rebels in the other alleged chemical attacks of Aleppo in march 2013 showed the link to the rebel forces, still doesn´t dismantle in the eyes of the logical and self-evident impossibility of the oppositional forces to handle these kind of devices. Once the premise should be granted by the Syrians, it would be quite difficult for Obama to promote his limited war, as the main objectives would have been destroyed beforehand. Then again in the midst of harsh political times for the president, when critics inside are growing on the left of the Democrats as of the extreme right of the Republicans, it seems quite obvious his approach to take over international leadership. This will eventually require the back up of a certain majority in both chambers, nevertheless it looks as if even his own party is not really willing to go into another conflict, and not getting very much convinced of the arguments given to the Congressmen and Representatives. As a matter of fact his first front line seems to be inside the US, wining the approval for his military quest. Then would come the real thing, if until then, any surprise effect will be second to none. Even more, if there weren´t any chemical weapons to hunt, isn´t this getting an obsession of the hawk side of Obama, who after giving his smoothest side, even getting the Peace Nobel Price, now shows us his Rambo side of his government. The true leadership of the new coalition might fall apart if the evil Syrian were to be disarming for true. The statements on this of the Obama himself, were that his offensive approach was the only way of getting a consensus for a political solution. Once again war is just an extension of politics to the governing class. If this had been his original inclination, why then doesn´t he aborts his quest for the forsaken bill for intervention against any international law? Still all of his statements show a poker face of someone who in the past had shown people the new hope, the new leadership of the US. To the deception of many his real intention are by far quite similar to the ones of his predecessor, only the skin colour does make a certain difference to the eye. Finally if the planned attack was to occur, as soon as possible, the latter conclusion would be that this new humanitarian interventionism isn´t open to any autonomous and proactive enemies. They obey to an image, a mold of the evil, but never give in to anything, as they are tyrants. Still this particular tyrant shows quite a resistance, and is close to put the Us strategy at stake with its own arguments. If the US are naturally world players, used to these games, then how can someone understand how they are having such a hard time to actually persuade even their closest partners to join them. Or are they running out of arguments by now? The Syrian issue has become once again the topic of the major players of the so called International community. From the war of statements to the plain war, as it seems lies a gap, which is lesser and lesser. The alleged attack of Chemical weapons on civilian population occurred on the past 21 August in the outskirts of the Syrian capital Damascus has been put as a burden by both parties of this clash on the other one. It is said by the Rebel´s side that the attack was undertaken by government forces, producing around a 1300 death toll. On the other side, the government itself held the opposition responsible for it, as it denied having used, nor even possessing such weapons at all. The fact is that the tunnels which were apparently discovered by Syrian regular soldiers showed evidence of used shells and related material, of a toxic gas, that as a matter of fact affected the troops who were present at the time, proving that at least for the time being, there is presence of such poisonous armament. Despite the undergoing investigations held by a UN group on Syrian soil, still in process, some players are going ahead of time, accusing without any proof the undeniable responsibility of the regime, therefore considering all options on the table, including the intervention by the USA. The US-army has deployed two warships to the Eastern Mediterranean, close by the desired target, before even any conclusions were drawn by the UN. The Geneva II Peace Talks are now officially outdated as it appears, as the Rebels have disclosed any possibility of them happening, by openly refusing to sit at the negotiating table. The UK government has also shown its confidence that as the Rebels couldn´t possibly uphold such weaponry; it must have been done by the regime itself, still leaving a small doubt in case. Anyhow Prime Minister David Cameron not only showed support to Obama´s intentions to intervene on a limited scale in Syria by Thursday. He also called the Parliament to gather together, to bring up a very much needed position in case this week there should be any attacks on Syrian targets by the Us-army. As well the French government has given its approval of these possible measures that are said to punish the Syrian president for its behavior before its own people. It certainly also is one of the major supporters of the idea of arming on an official basis the rebels, who seem to be losing the war on the ground. The allies of the regime of Assad, mainly Russia and China show no will to change sides. The Saudis having tried to bribe the Russian government , this proved to be a big blow, as Moscow doesn´t seem to change its mind before an offer of 15 billion dollars on the table. The recent attempts to bring both sides on an agreement has once again failed, as for some reason the SNC is unwilling to any concession which wouldn´t include the downfall of Bashar Al-Assad as a precondition. Their most radical wing, the Al-Nusra Front openly defied the regime, having intentions to establish even a separate state within Syria under Sharia law. Some reports have even given a non-official statement that Al-Nusra is in fact in possession of such weapons, and would have been behind the events, that the UN is desperate to reveal. It looks as if some in this game are really not interested in having the naked truth seen at daylight. The US Secretary of Defense Chuck Hagel has said that all the options are within reach, until the President made a choice, which would inevitably mean that by Thursday the US-army could be effectively intervening in the scene, hitting strategic points within the country for 48 hours. These operations that obviously don´t count on the granting of a UN resolution in its support, would only be followed by some NATO-countries, including Turkey which neighbors Syria in its Northern border. So again we see the Humanitarian war, the Clinton doctrine used in the case of Kosovo back in 1998-1999. The reasons are moral and ethical but certainly lack any real ground or justification, beyond these considerations said before. Secretary of State John Kerry also said that these undeniable atrocities were only held accountable to the government, actions which it will have to stand up to in front of the International Community. Some other NATO members such as Germany or Italy have been more reserved on this issue, as they say that without any official UN mandate there would be no possibility of them being involved in such actions. In facts the Italian Foreign Minister Emma Bonino said in a press conference, that lacking such support, neither would they take part, nor would they allow anyone to use their military facilities for this purpose. Germany instead, with its past war experience, and considering that General elections are coming up soon, no one really is eager to support that kind of venture, fearful of losing popular support, hence the possibility to be in charge of taking part of the next German government. Russia on its side has shown its full allegiance to the government of Damascus, as its president Vladimir Putin said that there is a hidden agenda behind these accusations, and that Bashar Al-Assad isn´t behind this, but the rebels. Its alliance is strong, as well as their presence in the port of Tartus will remain as such, despite the growing military tensions in the neighboring waters. In any case Russia will not give in to any pressure to topple Assad, nor will it provide the legitimacy to the venture underway. As things appear to be, the UN Security Council will not be in a position to give any ground the intentions of Paris, London or Washington. An against any odds, this will not hinder them in acting in their interest, with or without the UN mandate, as long as the so-called International Community, themselves, are backing them up. Nevertheless the results of the investigations are being slow, and were furthermore delayed by snipers which shot on the UN official vehicles under way to the places of evidence, which happened to be in a region controlled by the armed opposition, this hasn´t frightened them to go on in their crucial work to get the truth, as they postponed the next ride until the damaged vehicle was to be replaced. If they achieve their goal is uncertain, as the security in the rebel held zone is not granted by any means. Unless the government recovered this area, then only there is a common ground on which to work. This could be the beginning of the REAL war, after the war of words. Neither the veto powers in the UN nor international law will further avoid the confrontation, some players are eager to push forward. No negotiations had any success, as for some reasons the SNC wasn´t able to make the slightest concession to the government, instead they were looking to accomplish their ultimate goal by all means, but never give in to anything. That is why probably the Geneva II Agreement, as well as The Hague Summit which was to be held in order to prepare the ground for the Geneva tables, between Russia and the US will never become reality. The hawks in Washington will have prevailed for now, until Obama takes the step that they are waiting for so long, the intervention on the ground. They call this Nation-building, democratization of any society, one size fits all. The history give us the proof that nor in Kosovo, nor in Libya, nor Iraq, nor in the former Yugoslavia in general terms this has proven to be possible. In the best of the results, there appears a failed state instead, with a chronic need of foreign help on a long term basis. If this was to be the future of Syria under the SNR, may the reader consider all sides, and see, if this is really such a bright horizon for the Syrians, who have already withstood two years of continuous wars and human and material losses. If this doesn´t touch the ones who want to overthrow the Bashar regime, it is questionable just how far their deep feelings of humanity are real, and how honest they are being towards letting the Syrians be free within their own state to choose their faith and government. The war in Syria also is within words in the medias, as the diplomatic activity in search for the possible Geneva II agreement is still in sight, according at least to Russian Foreign Minister Sergei Lavrov, as for the US Secretary of State, John Kerry at the last meeting in Washington last 9th of August. Nonetheless neither of the parts could actually agree on a fixed time and place, in which to organize the summit. As for John Kerry, who said that the commitment of the Syrian Opposition to attend the Swiss summit was clear, there was this condition, that a transitional government was established, with no place for the current Syrian president Bashar Al-Assad. On his side, Lavrov stated that the Syrian government was determined to attend the summit without preconditions. Still there were statements of the Prime Minister, in which it was said, that no sovereignty was given into consideration, in response to one of the demands of the opposition asking a transitional government. In the next week a bilateral meeting will take place at The Hague, Netherlands, where the Russian Foreign Deputy Vice minister Guennadi Gatilov and Wendy Sherman, the US Undersecretary of State will be treating the technical aspects of the Summit, as for ratifying the reached agreement. The actual relations of both Foreign Ministers are by far more productive, than those on the presidential level, as Barack Obama has had a mixed result in his last meeting in Northern Ireland for the past G8 meeting. Meanwhile the Saudi monarchy has been deploying its influence in the region, reaching to open a corridor for weapons and money supply through Jordan, an action to which the government of Amman was openly was opposed to. Still the transit through the common borderline is more than active, maintaining thus a vital and essential supply line to the Syrian opposition, after the town of Quassyr was taken back by the regular forces of Syria, interrupting directly the transit to Lebanon. Also stands the fact that outskirts of Aleppo are being taken back by the Syrian government in recent weeks. The main obstacle, as it seems in this major split inside the Syrian society, is due to the fact, that probably the length of time has radicalized the positions to a point of no return. In this way the government will not cease to face the terrorist organizations with all means in his power, to recover the unity and peace in his country, as the opposition refuses to deal with the Assad regime, and looks forward for a totally new government. The question which remains, above any certainty expressed by the Arab League representative, Lahdar Brahimi, and many other spokesmen in this chain of events, if the two factions opposed, could ever consider to implement a cease-fire. This has been tried in the past, with poor success, even if it appeared, as if the regime of Damascus was being at bay, and calm ruled for few hours, not even days. Still, the war dynamic was back into its former confrontation very soon. The Syrian Opposition has shown little unity on some specific terms, as if they could negotiate face to face with Assad´s government. When in a strong moment, they seem very willing to go to the negotiating table, but in times of drawback, they claim their goal is to liberate the country, therefore, they won´t agree anymore. The government has repeatedly shown its good will to go, always under the assumption, that they are seen as an executive power, and being respected as such. It is quite uncertain, how both aspirations and needs will be attended by Brahimi and generally by the big powers in charge of the main round, Russia and the USA. The back bone of the support of each side has evidently a superpower and geostrategic reasons for its existence. The USA and the Western European countries, at least most of them, are eager to establish a new order on Syrian soil. Their main reason to do such, resembling once again to the old cold war style, being to conquer power, driven by the People´s will, or at least on their behalf, but with a hidden agenda, of splitting once again the former Ottoman Empire nearly 100 years after its collapse and fragmentation. The all so celebrated new freedom waves of the Arab Revolution have somehow lost a bit of their freshness. The troops are being attended in increasing number by foreign fighters, coming from al the Arab world, and furthermore from European nations, but by belief Muslims. This brings into the debate, the Syrian national compound of the Free Syrian Army, which at the most is composed by a minority of Syrians. Their dependency on foreign help makes them quite helpless, when the supply lines fail. Still their unity seems to rely on the non-definition of the future Syria to be built, solely on the will of tumbling Assad from power. Therefore their statements rarely are definitive or reliable on the long run, as they have changed opinions several times, or simply failed to reach an agreement from within. The president Bashar Al-Assad has then again shown a good will of resistance, as worse times than today have been in his two years struggle to recover the integrity of his nation. Despite the relative isolation, his position has been kept, and furthermore has recovered some places lost in the past to the opposition. Still the economy has passed entirely to a war modus, as business as usual gets more and more difficult to be done. He has had to ask for a credit to Russia, as well as orders of weapons, as the turmoil is being stretched in time. The deadlock remains as it was, while the hope on the Geneva II Agreement dwells away the longer it is postponed. Until then, every party in this civil war will stay on his position, waiting for the other to make a move. This chess game could last very long, only time will tell.